In August 1991 Estonia, Latvia and Lithuania regained independence and international recognition. A few months before, the Nordic Council of Ministers opened offices in the three Baltic States to develop ties between the Nordic and Baltic countries. Since then, the three Baltic States have witnessed an impressive economic and political development – development that is not least due to strong entrepreneurship and high ability to innovate. Some of the world´s most successful innovations have been born in the Baltic States, that have a lot to offer in terms of talent, skills, innovation and entrepreneurship. On 29 of August 2016, BDF hosted a conference to celebrate the 25 year Anniversary of restoration of Independence of Estonia, Latvia and Lithuania and to discuss the potential of entrepreneurship and innovation in Baltic States. 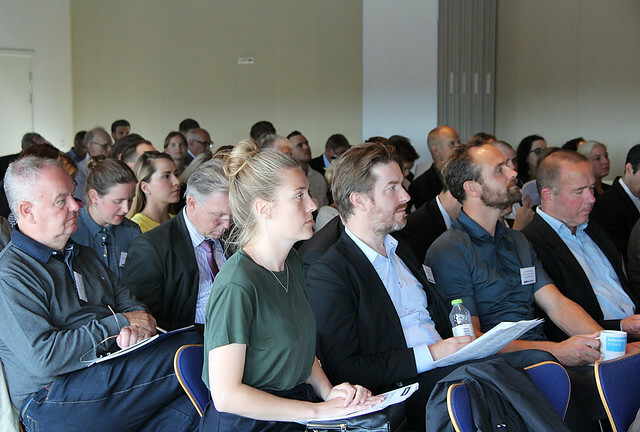 The conference which was attended by 150 people was organized in collaboration with the Nordic Council of Ministers, Confederation of Danish Industries, Chamber of Commerce and Industry in Southern Sweden, and the three Baltic embassies in Denmark. After welcome from the Latvian Ambassador Kaspars Ozolins, BDF Honorary Chairman Uffe Ellemann-Jensen and the Secretary-General of the Nordic Council of Ministers Dagfinn Høybråten looked back on the historic events 25 years ago, the incredible development of the Baltic States, and the results of a strong Nordic-Baltic cooperation. Nordea’s Chief Economist Helge Pedersen updated us on the current economic status of the Baltic States, by highlighting remarkable journey that the mentioned countries had been experiencing over recent 25 years and by indicating the challenges ahead. Furthermore, the participants got inspired by three successful start-ups Pocopay from Estonia, Drive eO from Latvia and Nextury Ventures from Lithuania who presented their businesses, challenges they face and opportunities they offer. This was followed by further discussion on innovation in Baltic States, issues of education systems and the importance of further collaboration in the Baltic Sea Region. The identity and competitiveness of the region as a whole was emphasized as well. The conference concluded that increased unity of the region and stronger cooperation is a key driver to economic prosperity and competitiveness of the region. Thus further cross-region cooperation provides a way ahead to future prosperity.